For the past decade Italy has been a constant in my assignments as travel writer and photographer. Rome, Florence, and Venice are the cities where I spend the most time, but much of my time has been spent in small towns and the countryside, too, especially in Southern Italy. It's always a privilege to criss-cross the boot, often in a convertible or by train. The art, culture, food, nature, and wine are all incredible. Italy is so rich in these that the problem is never to find something of interest, it's in all those wonders that for lack of space never make it to the printed page or web page. Born in the U.S. and with treasured years of working in the museum world in Washington, DC, I always bring those perspectives with me, too, including to TripAdvisor. I was delighted that TripAdvisor commissioned me to write some Travel Guides for Rome, Venice, and Sicily. Happy reading and happy travels! A succession of conquerors and rulers — Phoenician, Greek, Roman, Norman, Swabian, Arab, French, and Spanish — has left its imprint in Sicily. 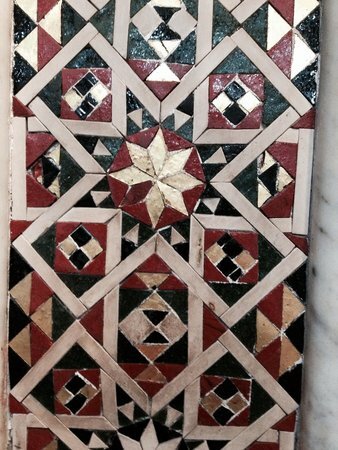 Many of these influences are still visible on the island, and can even be experienced through Sicily's complex and varied cuisine. 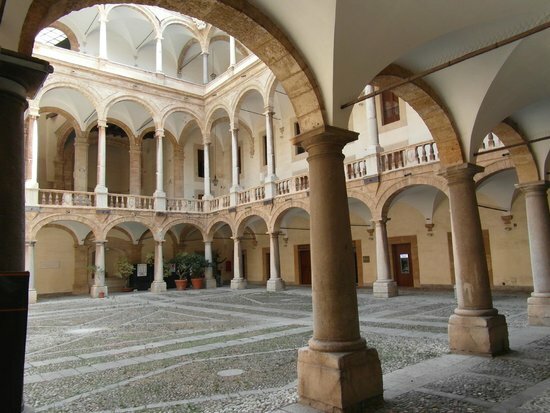 This itinerary begins in Palermo, continues with a visit to a Greek temple, and concludes with a look at a Phoenician site, salt flats, and the wine city of Marsala. To do all this in a day, you will need a car. 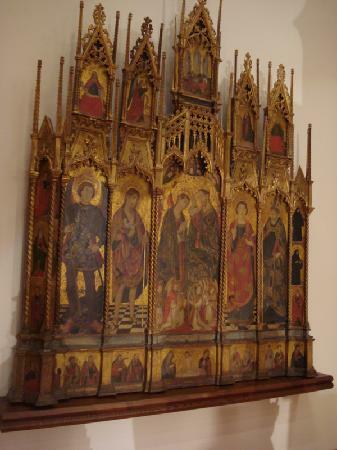 However, if you'd rather not drive, I've included an alternative visit to Monreale, which is easy to reach by bus. Lastly, this guide offers a "wine lover option," which would include the Palermo sights and then a trip to a very special winery. 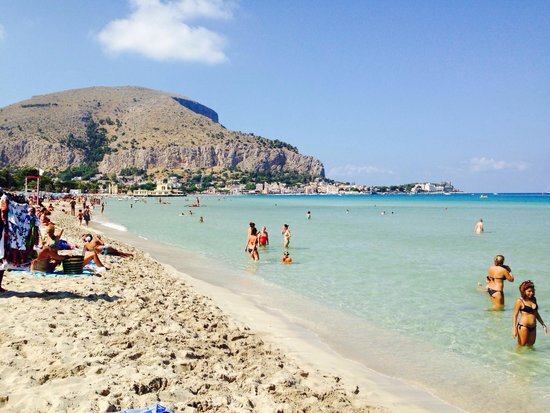 These are three very different ways to spend one day in northwestern Sicily, in the Palermo area. In the center of town, you can move about easily on foot. 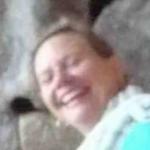 Dress conservatively in churches (no shorts, bare midriffs, mini-skirts, etc). If you arrive by car, park it and move around Palermo on foot, which is easier than trying to find parking in each place. 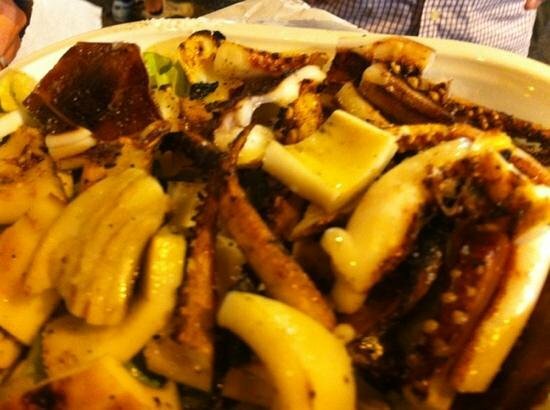 Palermo street food can be found in the market and elsewhere. Look for buffitieri (hot snacks). Pane e pannelle (chickpea fritters) at breakfast are a nice alternative to sweets. The tip is generally included in the price of the meal. Some choose to round the bill up and leave a bit extra. 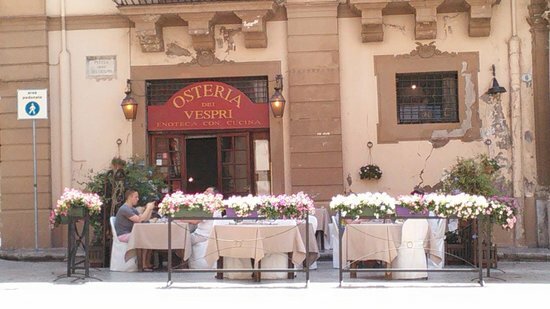 Like many places in Italy, a bar or cafe may have two price ranges: lower for items consumed standing at the bar, and a higher for sitting at a table to eat. The word "bar" in Italian is assumed to mean coffee bar, not cocktail or wine bar — although many bars serve drinks of various types. Visit markets in the morning. Unless noted, stalls close around lunchtime (1 or 2pm). This is a good early-bird activity, as some open soon after dawn. 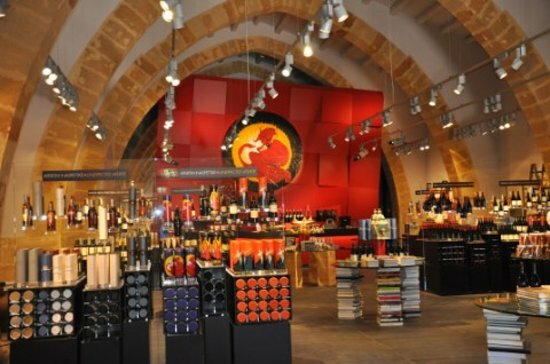 When tasting at wineries or shops, do not wear perfume, aftershave, or scented hair products. Their scents interfere with that of the wine and can make you an unwelcome guest. When tasting at wineries or shops, allow the server to pour the wine — even if he or she places the bottle in front of you. 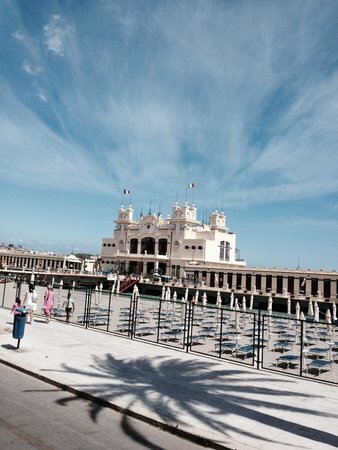 The Mafia still has a strong presence in Sicily, as well as in other parts of Italy and beyond. However, it's not necessarily a preferred topic of conversation with locals. 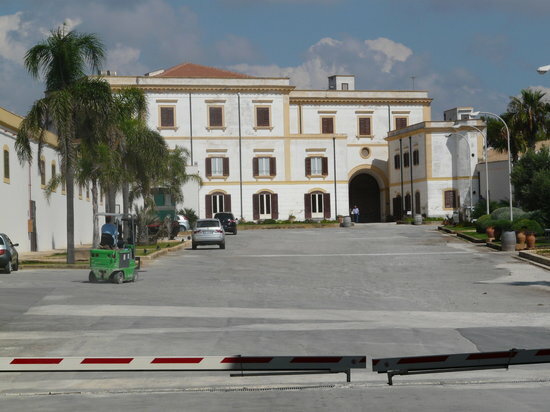 If you plan to do an excursion by car, one of the easiest places to rent a vehicle is at Palermo airport. La Vucciria, Palermo's most famous market, is centered primarily around Piazza Caracciolo, where the fishermen have their stalls. 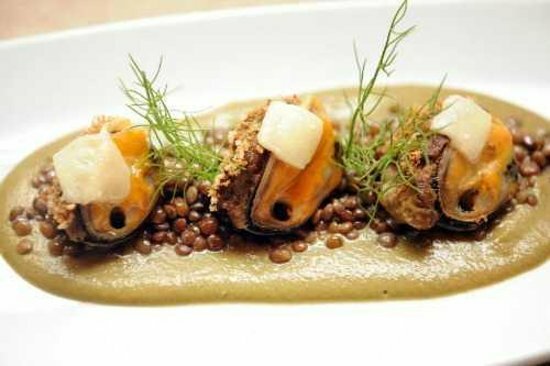 Here, the sword is still on the swordfish, and local favorites include fresh sardines, anchovies, tuna, and octopus. Meat comes in a great variety and little is wasted, which makes innards very popular in the local cuisine. See what's in season by exploring the the local produce. 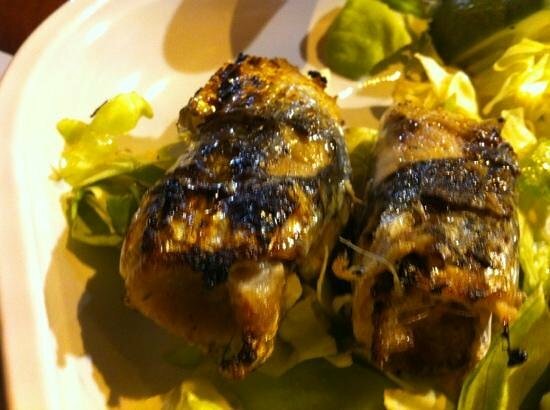 Beyond fruit and vegetables, there are herbs, capers, raisins, almonds, pistachios, and other specialties of Sicily to try. Look out for beans (dried or fresh), many varieties of tomatoes, and pastas. To see the best of the fish selection, arrive before 10am. The market closes down by 2pm, and is closed all day Sunday. 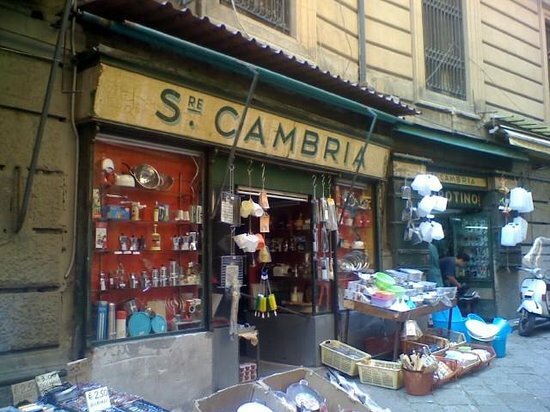 Other Palermo markets include Ballaro (near Piazza Carmine), Mercato di Capo (around Via Volturno), antiques at Piazza Peranni, and Borgo Vecchio (also open in the evenings). There is plenty of opportunity in this area for lunch as well as breakfast, should you fancy returning later in the day. 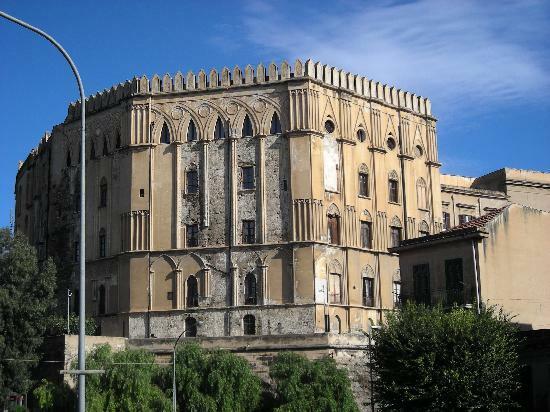 This Norman palace began as a Moorish fortress when Sicily was an Arab emirate. The modifications and expansions by the Normans are evident in the Pisan Tower and the central section of the palace in particular. Emperor Frederick II, considered one of the most visionary leaders of the era, chose Sicily as his base. 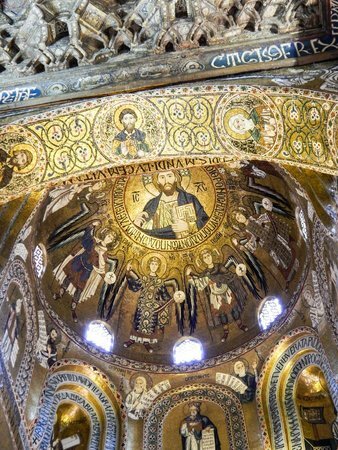 His son, Roger II, built the Palatine Chapel between 1130 and 1140, and the result included splendid mosaics that are among Italy's best, and good enough to rival those in Ravenna. 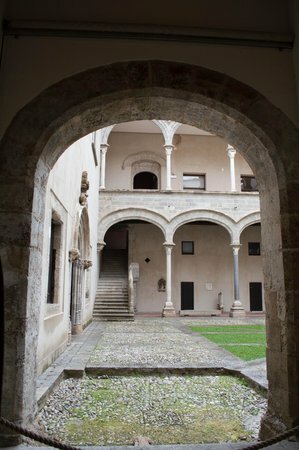 Book a tour to see the Ancient Royal Apartments, including Roger's private chamber, Sala di Re Ruggero. The palace serves as a government seat, so some rooms may close without advance notice. 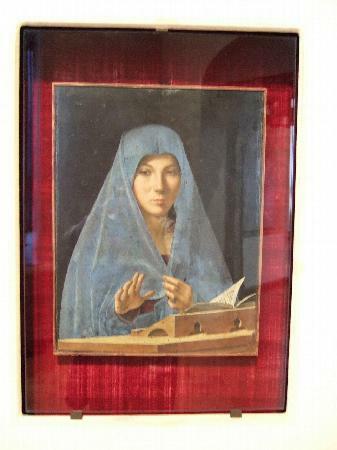 The painting of the 'The Annunciation' by Antonello da Messina is reason enough to visit the Regional Gallery of Sicily, but the museum is also home to a number of other captivating works of art. The gallery is housed in Palazzo Abatellis, and its street, Via dell’Alloro, connects to the Moslem quarter (Kalsa), near the port of Cala. Via dell’Alloro features a number of interesting medieval buildings. Follow the street to Piazzetta Croce dei Vespri to explore them all. Piazzetta Croce dei Vespri is the home of Palazzo Valguarnera-Gangi, the setting of Luchino Visconti's film "Il Gattopardo" ("The Leopard"). Creative dining, an excellent wine selection, and several tables overlooking the square make this tranquil restaurant worth a visit. (If a languid lunch is not in the plans, keep this in mind for dinner.) Raw fish and pasta, including anneletti (pasta rings) with Nero d’Avola sauce, are especially good here, and all dishes are beautifully presented. Don't miss the good selection of wines here. Ask for suggestions or for pairings with each course. For a quicker, or more budget-friendly meal, ask for the bar menu. 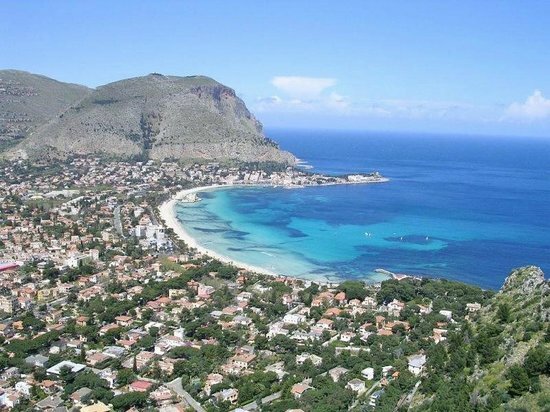 Mondello, a nearby beach set in a scenic curve of coast, is always lively with Palermo locals. Beach clubs rent chairs and umbrellas here, and there are plenty of places to eat along this long stretch of sand and shallow, aqua-colored water. The beach is crowded in the summer, especially on weekends. If you want to secure a place, arrive early in the morning. Swimmers and sun worshipers could easily spend the whole day here. The shallow water makes this is a safe beach for younger children. 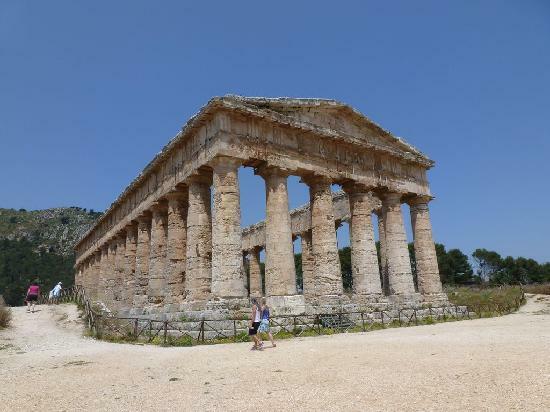 The Doric Temple of Segesta, made of golden limestone, dates back to 430BC and is evidence of the Greek influence in Sicily. Beautifully set high among a rolling wave of hills, with patchworks of green and golden grain, it is as powerful to visit for its lovely views of the countryside as for the majesty of the temple itself. 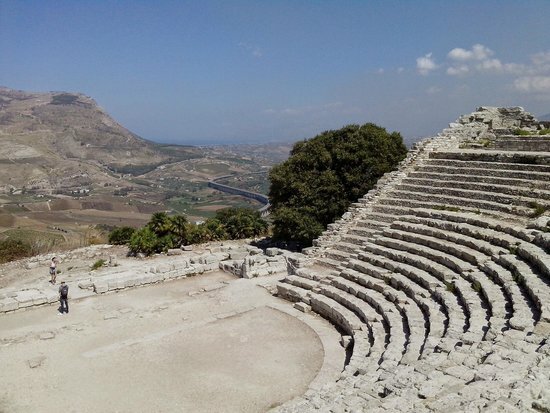 An ancient Hellenistic theater nearby is served by a shuttle service from Palermo city center. 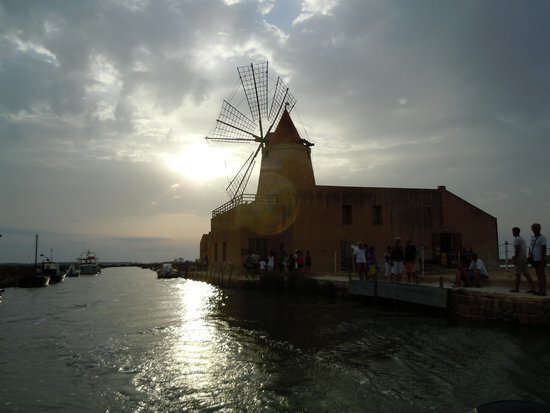 A windmill like Isole dello Stagnone is something a visitor might expect to see in Holland rather than Sicily, but these windmills were once an important part of salt production in the area. 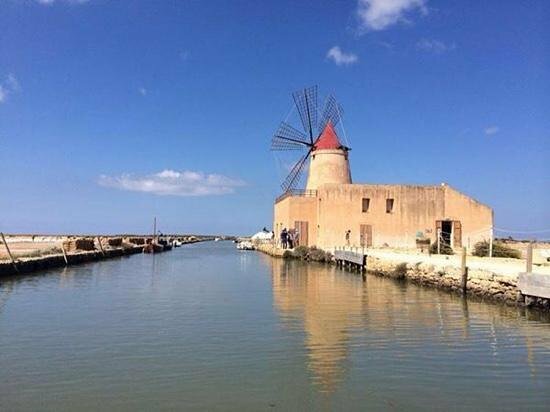 This restored windmill houses a small museum that explains the history and the salt-production process. Inquire in advance about demonstrations of the windmill and salt harvesting. Though the explanation will be in Italian, you can learn a lot from observing the process. Buy some salt here as a souvenir, and then compare it to the table salt you normally use back home — you'll taste the difference! 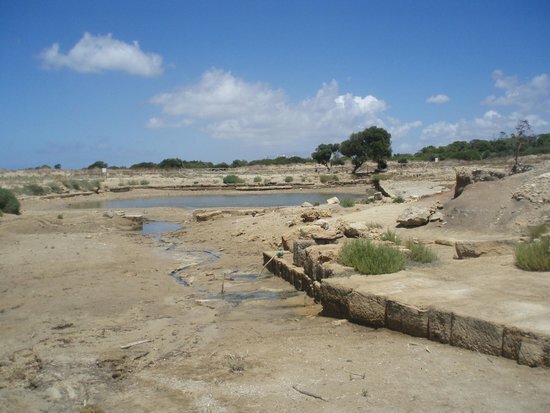 The Island of Mozia (also known as Motya, Mothia, or Motia) was the first Phoenician colony in Sicily, settled in 8BC. 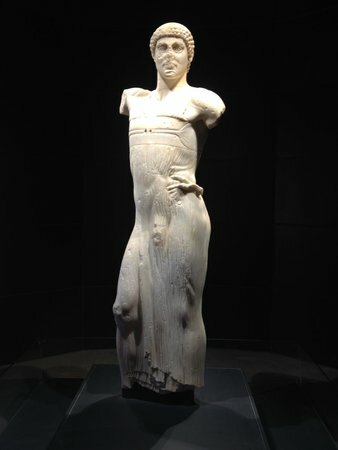 Today, a small museum there houses the beautiful marble sculpture, Ephebe of Mozia, which was expertly carved to show the flow of his garment. 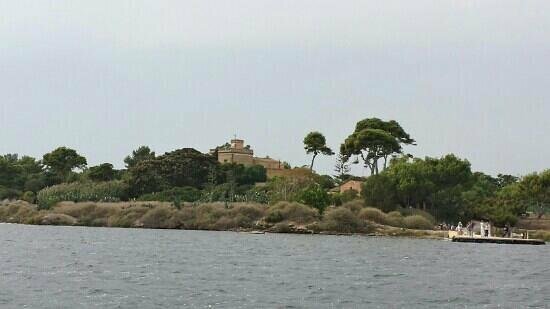 The short boat ride to the island is fun, and the lagoon is great for exploring too. If you want to swim in the lagoon, bring along beach shoes, as the shoreline has some rough pebbles to navigate. 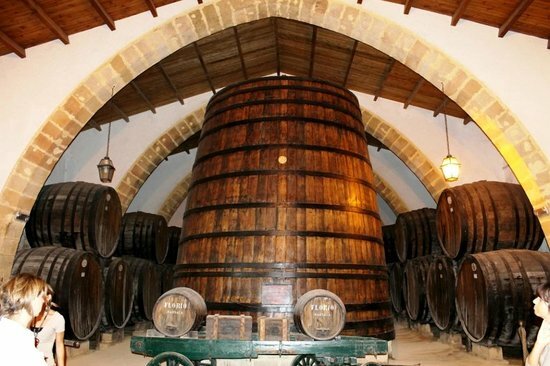 Marsala wine was discovered in the 18th century as part of an experiment in which alcohol was added to the local wine so that it would keep during long sea voyages. The wine became a hit and remained in vogue for over a century! 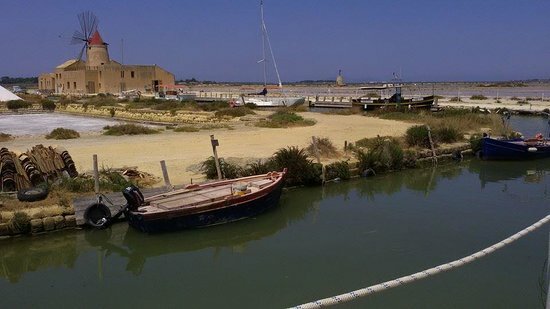 Located near what was once the old port, Florio is one of the most picturesque and historic of the Marsala wineries, producing fortified, passito, and sparkling wines, and offering its visitors an interesting guided tour. Book in advance for a winery visit. 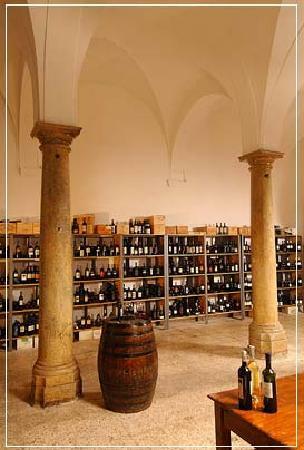 If you have time, visit a local enoteca (wine shop) and taste a variety of Marsala wines. Note the difference between a good Marsala and that used for cooking. A good Marsala serves as an aperitif or an after-dinner wine. Wine lovers might want to do a different itinerary, spending the early morning visiting Palermo's markets and historic sights, then moving on to a winery for a tour and tastings. I especially like the Tasca d'Almerita winery for its consistent quality of wine, lovely location, and the variety of wines offered at different price ranges. Tasca d'Almerita's Regaleali Estate in Sclafamo Bagni produces about 17 wines. The wines are easily found at good restaurants throughout Italy; especially popular is their red Rosso del Conte, a Rosso DOC Contea di Sclafani specific to the Palermo area that is primarily Nero d'Avola blended with other grapes. However, tasting wines in their own territory is a magnificent experience. Book winery visits, cooking courses, meals, or lodging in advance. For a family visit, consider a tour through the gardens and a cooking course. 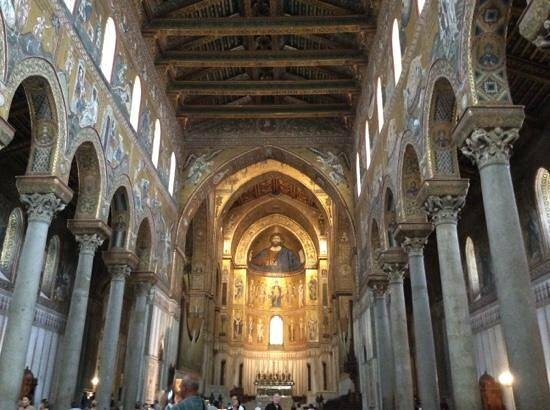 Time permitting, the Duomo or Norman Cathedral of Monreale makes for a lovely excursion outside of Palermo. 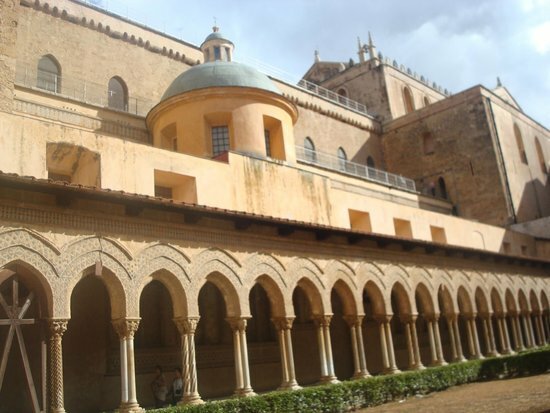 The enormous decorated bronze doors open into an interior filled with exquisite golden and multi-colored mosaics, and the lovely cloisters and garden offer a tranquil refuge too. 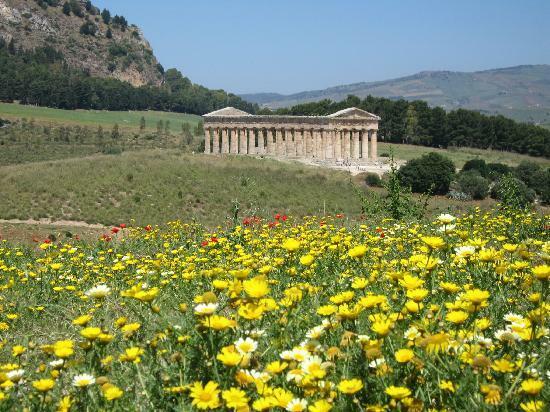 Easily accessible by bus, this is a perfect outing for those who want to explore outside the city of Palermo but prefer not to drive.